The iPad proved to be a hit for journalists and now Apple is stepping into the smaller-tablet market as it unveiled the new iPad Mini last Tuesday. Those who attended the event excitedly tried the new tab, but soon concerns about its pricing surfaced. Also on Tuesday, Pew released a study on younger Americans’ reading habits finding that most young people still read and go to libraries. 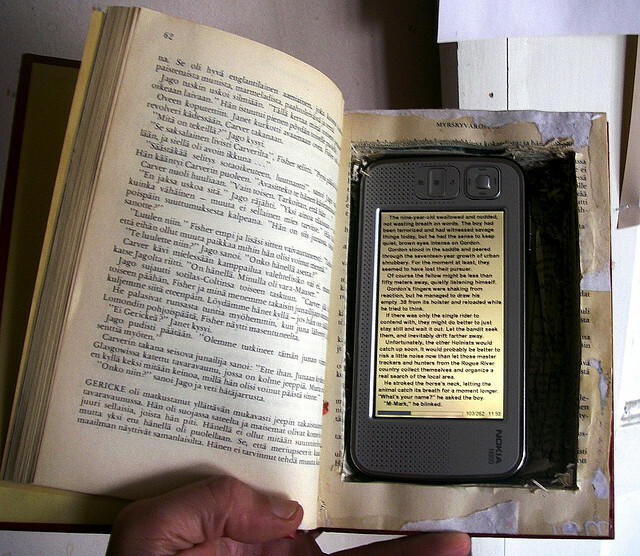 Image credit: “Electronic Book” by Timo Noko on Flickr. Used under a CC BY-SA 2.0 license.